For a while now, I've had all these recipe notes scattered everywhere that called for pastry dough. So, I finally decided to go ahead and make a larger batch of dough and keep it in the fridge to be used for a few different cooking experiments. The truth is that I don't mind making pastry dough but I do strongly mind washing the food processor. It's old and heavy and not machine washable and cleaning all its bits and pieces is not my favorite kitchen chore. Large batch of dough works for me. First up was something I've been wanting to try for quite a while. I like foods that are a little bit savory and a little bit sweet such as fruit paired with strong cheese. And I also like pretty much anything that's wrapped in dough. In this case, I left out the sugar altogether and just let the sweetness come from the warm baked seasonal pear. Baking brought out more of the fruit's sweetness and it blended harmoniously with the sharp Gorgonzola. I served the pears over a salad of strong greens and when we cut into the pastry, the sweet cheesy filling perfectly mellowed out the bitter lettuce. Even though it looks fussy, once I got in a little practice it really wasn't all that much work to put together. And the result was completely worth it for this special taste treat. Enjoy! To make the pastry, combine the butter, flour, baking powder and salt in a food processor with a steel blade and pulse just until it resembles course crumbs. Slowly pour in the ice water and pulse just until combined and a dough ball forms. Wrap the dough in plastic wrap and refrigerate for at least one hour. 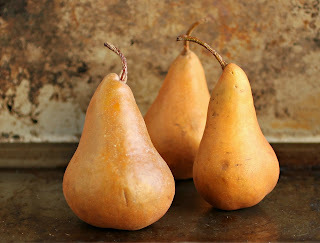 When the dough is chilled, peel the pears and core them from the bottom so as to leave the stem intact. Fill each pear with an ounce of the crumbled cheese and sprinkle each pear with a light pinch of salt. Cut the dough into 4 equal pieces and roll out each piece on a well floured surface. The dough should be fairly thin and rolled out to approximately an 8" round. There are two methods to wrap the pears. You can place the pear in the middle of the dough circle and simply bring the dough up to the neck of the pear and squeeze around the stem. A little bit of water on your fingertips will help the dough stick together. Alternatively, you can cut the dough circle into long, 1" wide strips and begin wrapping your pear like a mummy. Although this is a bit more work, I liked the effect better. If you like, you can roll out the dough scraps and use a small leaf shaped cutter to make decorative leaves to attach to the stem. 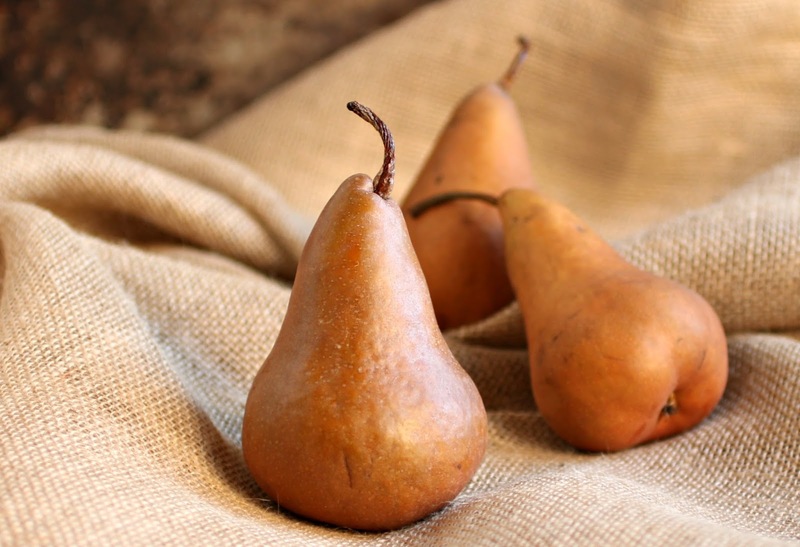 Place the pears on a baking sheet lined with parchment paper and bake in a pre-heated 375 degree oven for 30 - 40 minutes or until the pastry is a light golden brown. If you want your pastry to be more brown, brush it with a beaten egg before placing in the oven. Makes 4 servings. Anita this look fabulous! I love pear and Gorgonzola in salads. I can only imagine that wrapped in pastry dough and baked is probably the best thing in the world! OMG. SO gorgeous and drool-worthy! Glad I can put my food processor parts in the dishwasher. I wouldn't like using it either if I had to hand wash. 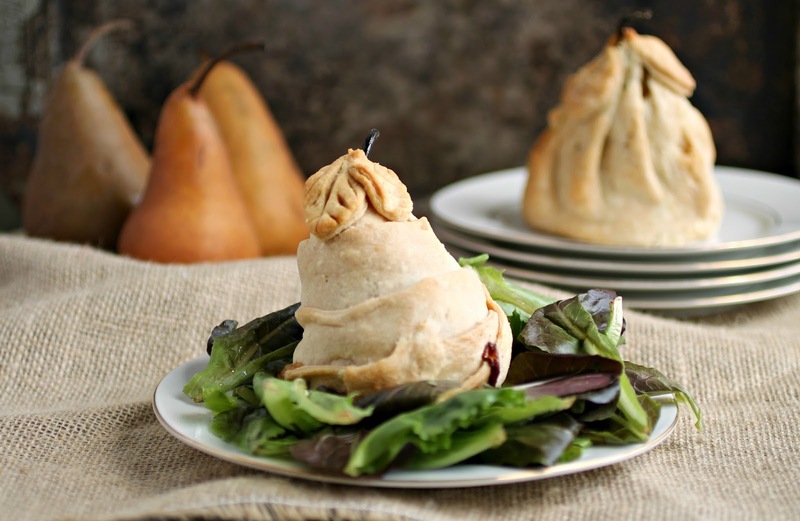 Pastry + pears + gorgonzola = heaven on a plate. YUM!! 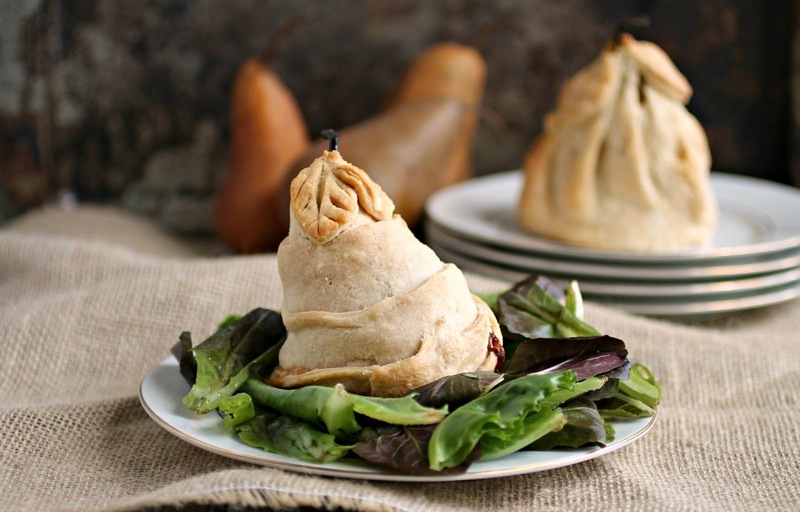 This is so creative, and so perfectly 'fall', it would be great as a Thanksgiving dessert! I need to get a food processor so that I can make giant batches of dough and lament over washing the parts too! I love anything involving cheese, baked fruit and pastry. This looks fabulous, Anita! I'm not a blue cheese fan, but I'm guessing if I swap it out with some goat I'd love it all the same. 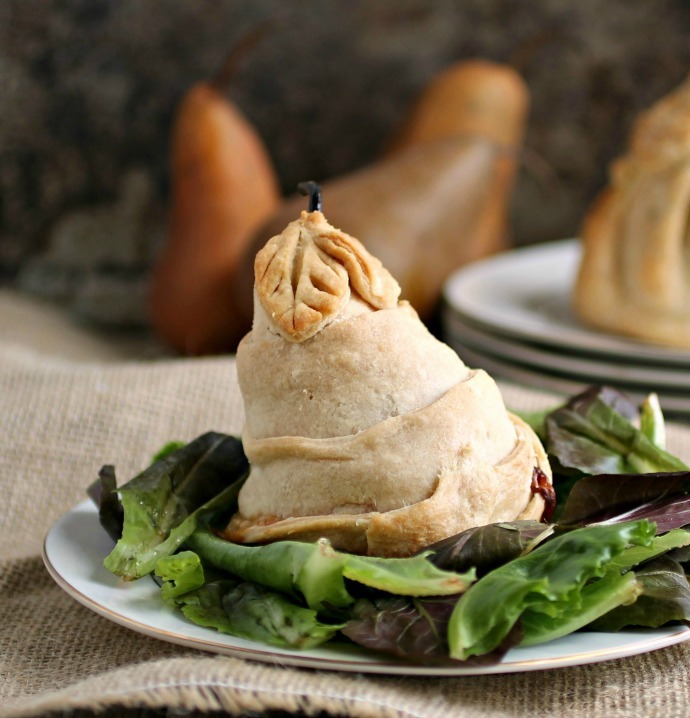 Really gorgeous presentation though with the pears in pastry dough. What pretty little pastry pear packages, Anita! I love everything about these. The sweet, the savory and wouldn't they be an impressive dessert course for a dinner party! I want one, Anita! This looks like a marvelous recipe. I had some pastry wrapped pears filled with chocolate last year...and now I'm thinking I might be able to recreate them. Your Gorgonzola version looks amazing!!! These sound great! 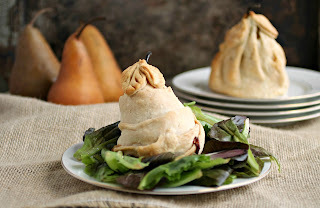 I love pears and Gorgonzola cheese and to wrap it in a pastry could only make it better! Simply stunning! Almost looks too good to eat, NOT!